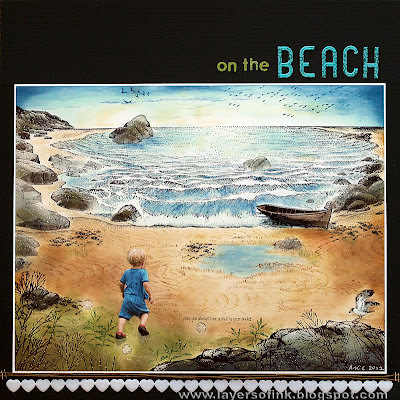 Yes, our challenge for the month of June is to create a beach scene with a bit of sand and water. You may use stamps or digis just as long as you focus on the scene. 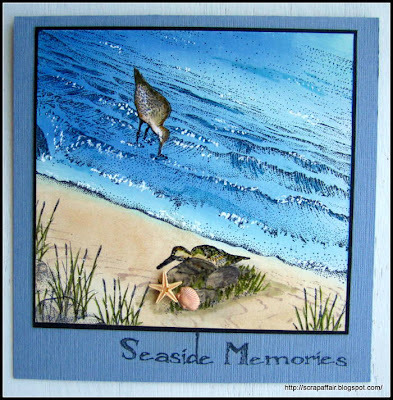 We have wonderful beach scenes from two of our new design team members for inspiration. 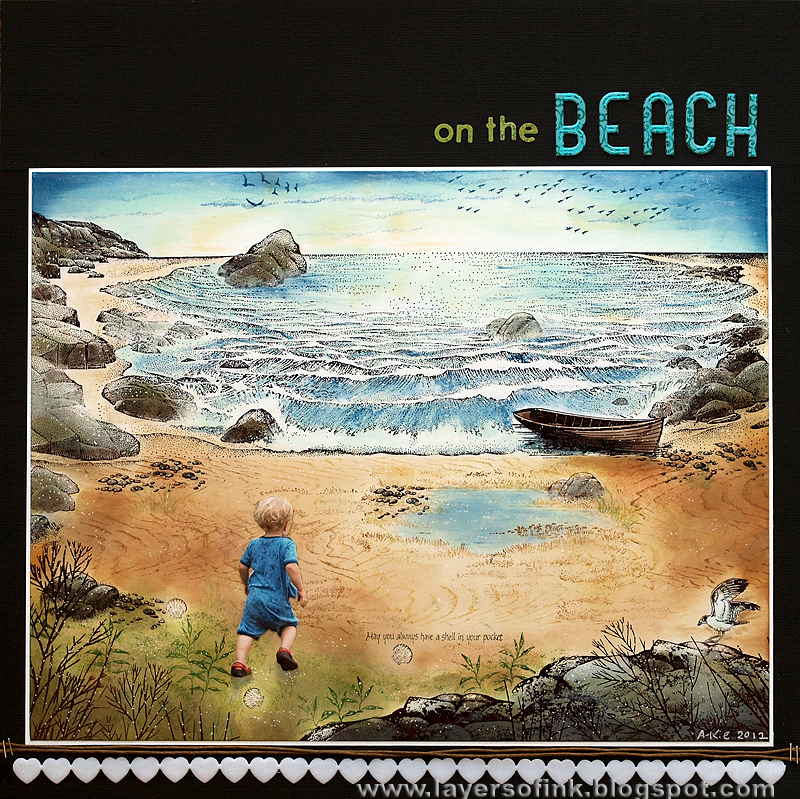 Anna-Karin created this wonderful scrapbook page with her son running along the beach. 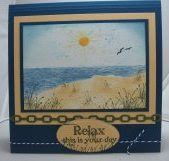 Anja created this wonderful relaxing scene card. 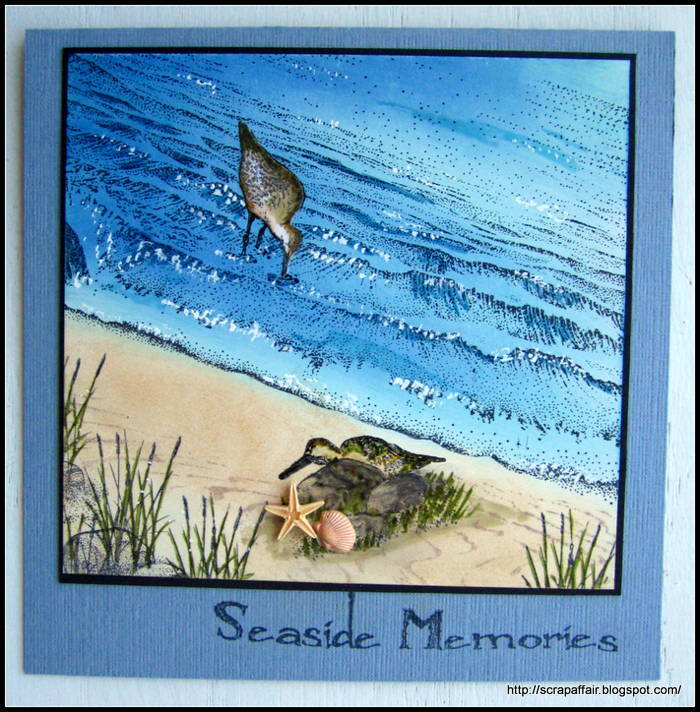 Nadia (Dianna Scarlet) made this fabulously realistic scene with Stampscapes stamps.